The city seal of Lewiston, Maine, is packed with imagery reflecting the “working spirit” of the state’s second largest municipality. The round seal features a beehive, railway and one of the town’s original riverside mills. Along the right side of the central shield are images of a scythe, hoe and rake, emblematic of the role agriculture played in the early expansion of the town. Along the left side are an arm and hammer and a caduceus, symbolizing Lewiston’s artisan and medical communities. Natural components include the sun’s rays and a waterfall. The spirit of the hard-working town is encapsulated in the Latin word “Industria” emblazoned beneath the images. The city of 36,221 traces its roots to 1669 with a settlement of the Androscoggin tribe, aft er which Lewiston’s county was named. On Jan. 28, 1768, a grant comprising the area was issued on the condition that 50 families live in Lewiston before June 1, 1774. The town grew rapidly, and during the late 18th century, families migrated from Quebec, leading to the largest French-speaking population in the United States. The Androscoggin River and Lewiston Falls enticed the formation of manufacturing and hydro-powered businesses. Rail and textile tycoon Benjamin Bates took advantage of the rapid economic growth, founding Bates Manufacturing Company and building five mills, one of which produced textiles for the Union Army during the Civil War. Bates Mill No. 1 remained the town’s largest employer for 150 years, from the 1850s through the late 20th century. 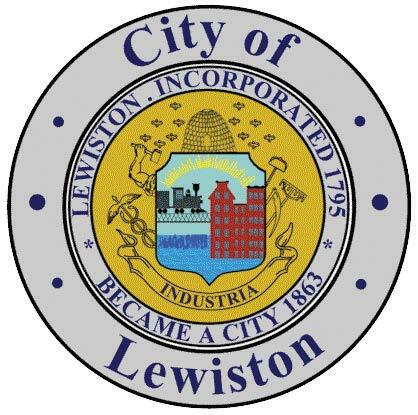 Lewiston has always been known for its low cost of living, substantial access to medical care and extremely low violent crime rate. The city is home to Maine’s only basilica; 15 colleges and universities; 44 listings on the National Register of Historic Places, including four homes that have survived from the town’s incorporation in 1795; and an observatory, arts center, museum of art and two major general hospitals. Lewiston prides itself on its diversity. Irish immigrants helped staff the mills, and the Maine State Seminary, opened in 1855, provided education for blacks and women when other universities barred their enrollment. The seminary was one of New England’s first coeducational institutions and one of the nation’s earliest proponents of abolition. For more information, call (207) 513-3000 or visit www.lewistonmaine.gov.